Why is Mobile Automation Testing Valuable? Automation testing is the branch of mobile software testing which utilizes certain test codes or pre written scripts to check the software of probable bugs and flaws which are to be rectified to create a better version of the same such that it is better accepted by the customers. Automated testing not only provides accurate results but also saves time and is thus considered to be a valuable asset. Automated Software Testing Saves Time and Money: Repetition is a common phenomenon when it comes to testing the mobile apps. This is due to the fact that the software needs testing during various phases of development. The automated testing frameworks can be reused again and again and hence save money in the procedure. The testing process is completed in a jiffy and multiple machines can conduct testing simultaneously. This saves a lot of time while the process is on the go. Automated Testing Improves Accuracy: Automated testing runs on a simulated framework with accurate precision. As it is conducted by the machine, the same precision is maintained each and every time the tests are performed. It is said that “to err is human”. Even the most professional tester will commit some mistake at one point or the other. But a machine will never make this mistake. Automated Testing Increase Test Coverage: Manual testing requires long time to be completed and hence in most cases is avoided when long tests are to be conducted. However, when mobile automation testing is conducted, the test may be left unattended and would be performed with equal precision on its own. 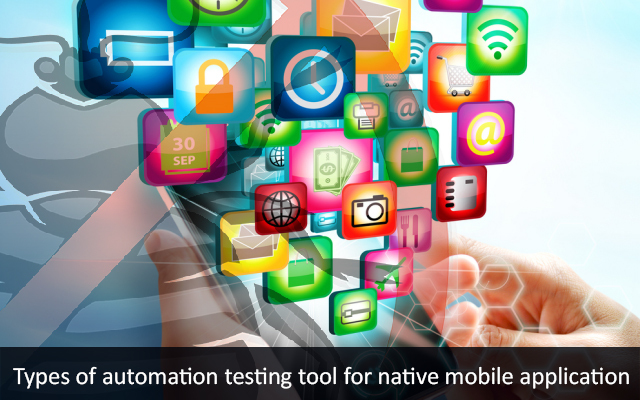 This makes automation testing a valuable tool in case of mobile testing. The automated testing procedure conducts multiple complex tests which provide with an increased coverage area which helps in the formation of a better mobile app. Automation Does What Manual Testing Cannot: Manual testing is performed by human, and well, let’s face it, they have limitations. Manual testing of user interface will require actual users to conduct the test. On the contrary, automation testing can perform the user interface test taking ten, hundreds or thousands of people without their actual presence in a virtual manner. Automated QA Testing Helps Developers and Testers: Automated tests that are shared with the developers can save a lot of time in the testing procedure. The developers can run the tests themselves and get results before having to send it to the QA department and hence the rectification can be done immediately without to be having to wait for the QA department to send back the results. This helps in boosting the confidence of the developers and saves time too. Team Morale Improves: As the repetitive tasks can be left to the automated testing of mobile apps, the software testing team can invest their valuable time in conjuring solutions for the more challenging tasks at hand which require personal attention to be resolved. This way a better testing procedure can be strategized and better results can be obtained. Thus you see how mobile automated testing is valuable in the software testing industry. Yes! We accept that automation testing can never completely replace the manual procedure, but it has its own perks which should be utilized as far as possible. This entry was posted in automation testing services, mobile automation testing and tagged automation software tesing, hire mobile testing experts, mobile application testing, mobile automation testing, mobile test automation, mobile testing company. Number of new Android and iOS gadget models is developing, more organizations begin utilizing versatile automation tests in order to deal with the quality affirmation of their mobile applications. 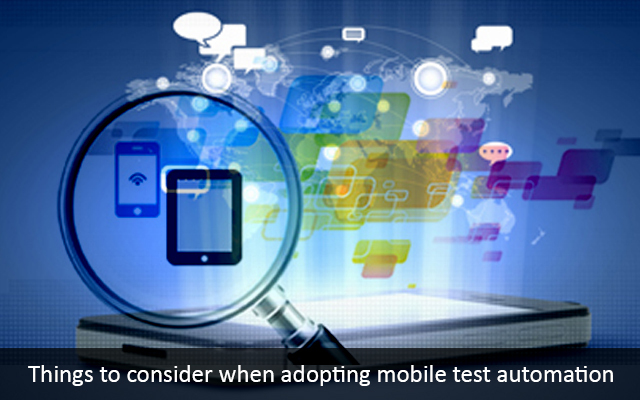 But there are things that are needed to be considered wisely while adopting the mobile test automation. As if not given due attention, it may lead to programming disappointments – bugs, crashes or other sudden conduct – with mobile applications can rapidly cost their makers its reputation, and push the application down in a search request. Mobile application testing is one of the most important aspect of app development. Many huge app developing companies lay great impetus on it. But even they have to go with the budget. Thus an effective cost and Investment plan needs to be adopted. Time, people, Money, Infrastructure& Trainings are the basic requirements to conduct a test- manual or automated. It’s quite obvious that in today’s time one prefers automated testing as it provides better ROI. App development requires efficiency and that efficiency is provided by a regular testing cycle which is frequently carried out during every stage of the app development. Machines that carry out this Automation process though man-made are pretty much more error free than that of human themselves. Under Automation mobile testing each and every step is carried out efficiently with almost zero error. It saves time as well as manual energy. Modern day app developing companies prefer Automation testing over manual one and that’s in fact right. But although the vast majority is carried out through Automation. They must not forget the importance of manual one. There are various testing tools such as Robotium, uiautimator, Catabash, Selenium and Appium are just some of the wide range of methods available in a tester’s hand. Jenkins is one of the most commonly used open source continuous integration used for conducting automated testing. Test Automation for Mobile apps turns out to be cost and time effective as lengthy tests are carried out in a short period of time and expense factor is reduced as less and less manpower is required to carry out the testing. The testers and developers are required to abide by the open standards and are required to stick to those standards. Transparent APIs should be brought into use so that it can be used later on. Improving efficiency, effectiveness and stability are the desired outcome expected after a considerable mobile Automation testing. All the emphasis is laid down how to produce high quality, robust apps which are reliable in the ever growing complex environment. Testing efficiency relates to average number of tests done in an hour. The better the efficiency, the more cost effective and less time consuming it will be. So in order to satisfy your consumers and building a customer base, it’s quite essential that you stay awake in this dynamic mobile ecosystem. This entry was posted in mobile app testing, mobile automation testing and tagged expert mobile app testers, hire mobile app testers, hire mobile testing experts, mobile automation testing, mobile device testing, mobile test automation, mobile testing company, mobile testing services. It is a proven fact that testing of a software before launching it into the market helps in increasing the popularity of the same. However, there is no reason to test your app in your development facility, where as you can outsource it to people who specialize in the process and will take care of the mobile testing for you providing you with desired results. Pay Less, Get More: When you are managing a business or are the owner of one, your primary objective should be to attain maximum benefit from minimum investment without compromising the quality of the product. When you outsource the mobile testing facility you get good quality testing facility at a much lower price than that available at you own country. Also your core team gets to invest more time in the development process as they only have to manage the outsourced team and not invest their time in the mobile testing procedure. Thus you get the best of both worlds. Skilled People, Cheaper Rates: One of the most prevalent reasons behind the rise of mobile testing outsourcing is the availability of highly skilled labours at a much cheaper price. In this way you get to maintain the standard of your product and at the same time ensure that your company is getting maximum profit out of the whole process. The workers at the outsourced testing centre are equally skilled as your own workers (sometimes, even a tad bit more) but they are available at your service for much lower rates than the amount which you have to pay for you own workers. Focusing on Core Business: Most of the giants of the IT industry maintain a mobile testing division as a plus one along with their main business. On one hand it is important to deliver quality product to your customers on the other you also need to concentrate more on your core business facilities. When you outsource the mobile testing division to elsewhere, you still get to provide your customers with top notch product and at the same time get to concentrate and develop your core business more. Easy Start Off: As most of the countries are outsourcing their mobile testing services, so a huge number of companies are growing in the countries like India which offer this kind of services to the rest of the world. This eases the job of finding the right kind of company which will provide you with the best mobile testing facilities as the one required by the app you have developed. In this way you just need to select the company which is right for your needed service, specify what you want, pay them and sit back and relax. 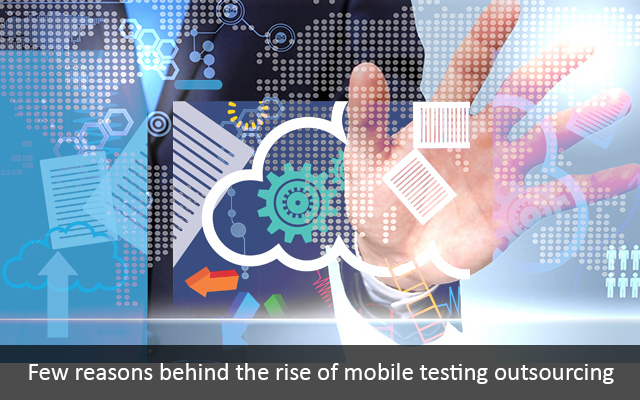 We have provided you with some of the top reasons as to why there is a sudden rise in mobile testing outsourcing. We hope this will help you understand the benefit of outsourcing and you will do the same. This entry was posted in mobile app testing, mobile automation testing and tagged expert mobile app testers, hire mobile app testers, hire mobile testing experts, mobile application testing, mobile automation testing, mobile test automation, mobile testing company, mobile testing services. 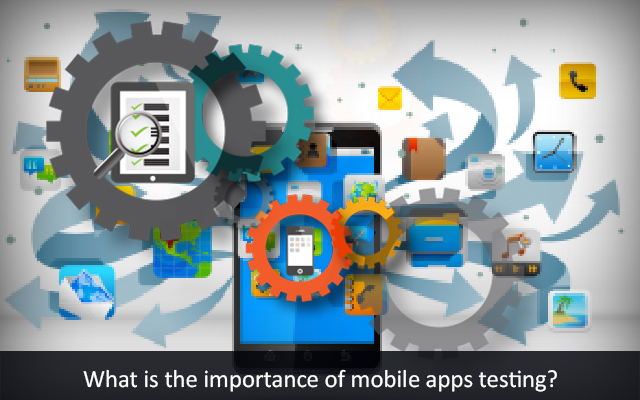 What is the Importance of Mobile Apps Testing? With the increased number of smart phone users in the world, the needs for good mobile apps are increasing too. In the current era, majority of the smart phone users are accessing the internet via the mobile devices and most of our lives are dependent on the apps which provide us with all the basic needs. This has lead to the formation of a huge competition among the app makers to provide the end users with the best app which will satiate their needs. This calls in the requirement of mobile app testing. Checking Proper Functioning: The mobile apps should be tested to check the functionality of the same. When you are creating an app, you need it to deliver certain functions. App testing will ensure that your app delivers the desired function and that too in a speedy manner as people these days barely have time. Checking the Stress Level: As the usage of the mobile app is entirely dependent on the end user, you never know how much stress it may go through while being used. App testing will give you an idea of the stress level that can be handled by the app and also provide you with the report on how fast the app will gain back working capabilities in case it snaps under a certain amount of pressure. Security Facilities: Most of the mobile apps these days needs to be fed with personal information like email address or location details of the users. Banking apps also require knowledge of the codes and PIN numbers. Security of such information should be maintained at all time in order to safeguard the details of your customers. Security testing will show you how easy or difficult it is to breach the security parameters of your app. User Friendliness: The end users will always choose a mobile app which is easy to handle and understand. Hence it is very important that you test the ease of using your app before you release it for global usage. The app must be very easy to understand and deal with in order to become popular among the users. Compatibility: The apps are usually made up of various small modules which are integrated to make the app a whole one. Compatibility testing of the mobile app shows how smoothly the various modules work with one another so as to render smooth functionality of the app on a whole. Bug, Installing, Uninstalling and Updating: No user wants to work with an app which is filled with bug and is erroneous on the functionality front. Mobile app testing will ensure that your app is as bug free as possible. Also people have a hectic life style and want everything done at a rapid pace. Hence if your app has a speedy installing or uninstalling process at bay, it will be better accepted among the end users. Regular updates of your app should be provided in order to stay at par with the advancing technology and it is best if these updates get loaded quickly on your app. Mobile apps testing will give you all these details. Thus you see how mobile apps testing are of utmost importance if you want to stay ahead of the raging competition of the mobile app industry. This entry was posted in mobile app testing, Software Testing and tagged expert mobile app testers, hire mobile testing experts, mobile app testing, mobile application testing, mobile automation testing, mobile device testing, mobile test automation, mobile testing company.